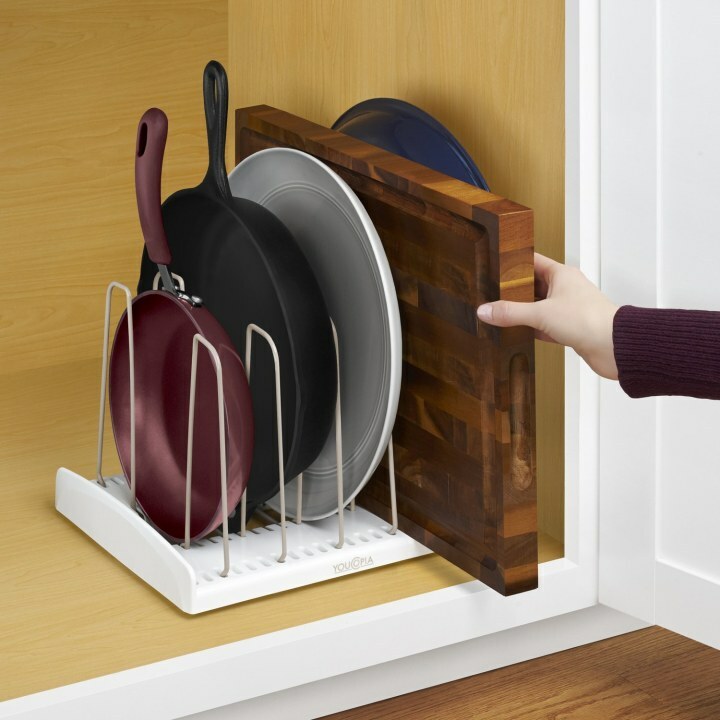 Say bye bye to kitchen clutter! I'm pretty sure my love of organization dates back to childhood. Sharing a room with an older sister whose idea of cleaning was simply tossing clothes into a massive pile definitely shaped my love for all things neat and tidy, and organizing has always been my guilty pleasure. Call me crazy, but I like quick and easy access to the items I use the most, and clutter generally stresses me out, especially in the kitchen. Growing up, my mom would constantly complain about the lack of organizing space in her tiny kitchen, and as I've started to flex my cooking muscles more frequently, I've often found myself feeling the same sense of frustration. Cooking should be fun, but when I'm scrambling for my go-to tools at the last minute, the process is more chaotic than enjoyable. That's why I've recently fallen for YouCopia's line of kitchen organization products. 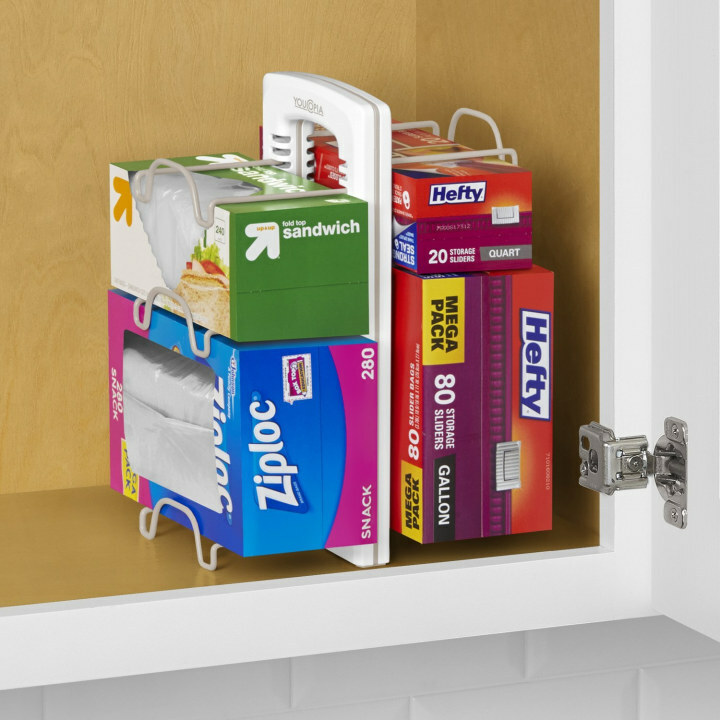 The brand definitely has a knack for creating time-saving organization solutions that can totally transform your cabinets. Take the Adjustable Lid Holder ($15), my favorite product from the line. As important as they are, lid covers are a pain to store if you have a lot of them, and I can honestly never figure out how to organize them best. Sure, you can nest them in your pots but that leaves little room for stacking, one of my go-to organizing techniques. I'm not mechanically inclined by any means, so I love how easy the rack is to put together, and I especially enjoy the adjustable nature - you can easily customize the number of lids you want to store. On the same idea, the Adjustable Cookware Rack ($20) has become a true lifesaver for storing my frying pans. 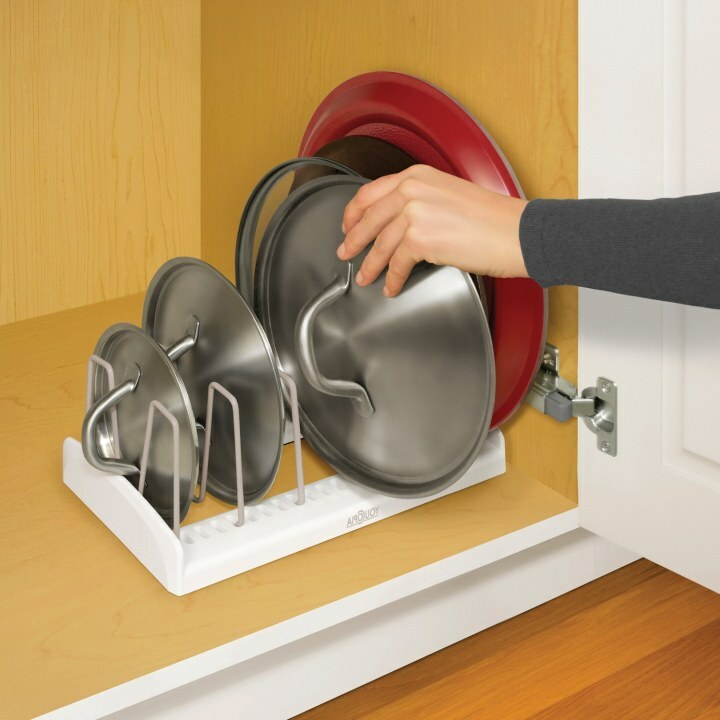 After incorporating both storage solutions into my cabinets, it now only takes me a second to locate a lid or pan as opposed to fumbling around like I used to. One of my other kitchen pet peeves is a messy utensil drawer. 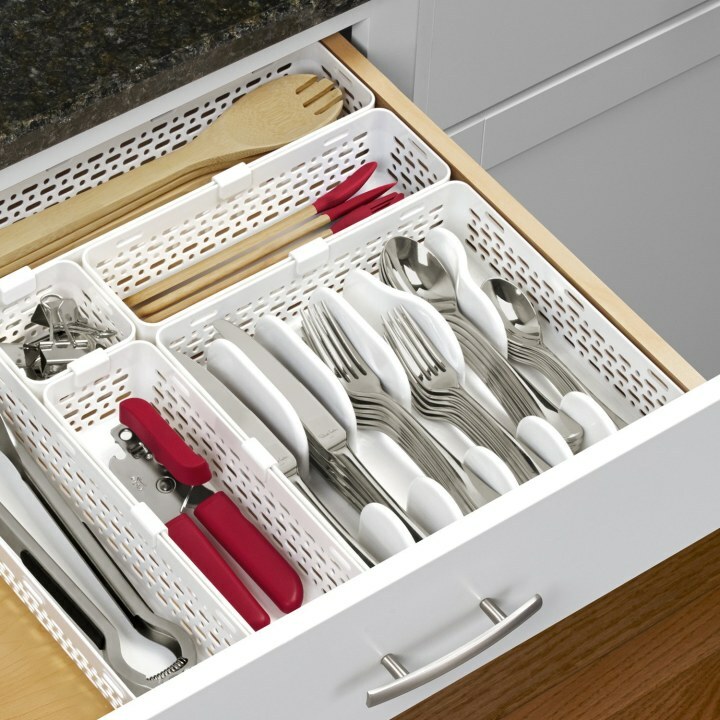 With all the baking tools I've recently added to my collection, I've been looking for a way to organize them, so I'm loving YouCopia's Utensil and Silverware Drawer Organizer ($20). It links up in a variety of different configurations, so it lets you create a customized drawer storage solution that's perfect for your space. One caveat? It won't fit my longer utensils (think spatulas and whisks) but it's pretty awesome otherwise. Any product that makes my life easier is always welcome in my home, so I'm pretty thrilled that I stumbled upon this innovative brand! Shop below for more YouCopia items we are dying to try! 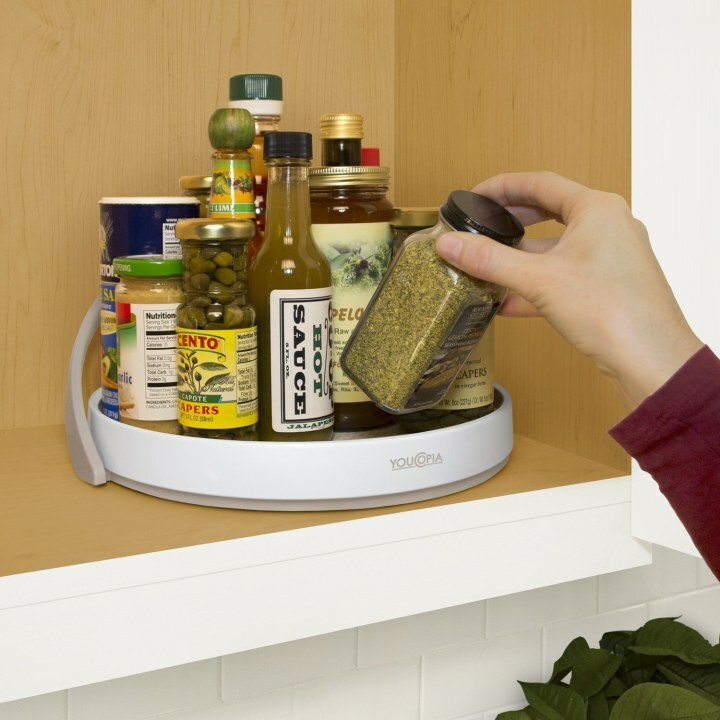 This spice rack makes it easy to find exactly what you are looking for. 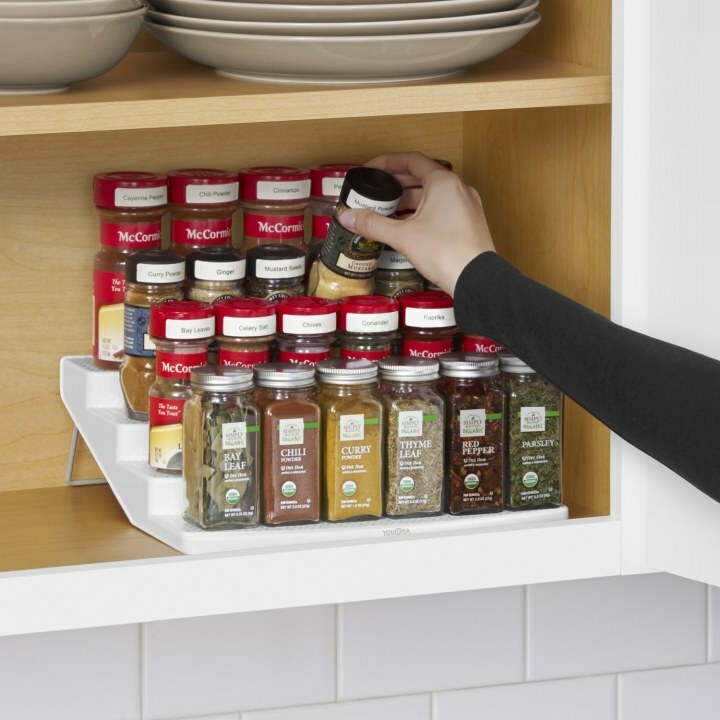 If you want something a little more discreet, YouCopia also makes a spice organizer with drawers that can fit up to 30 bottles ($40, Amazon). This kitchen wrap and baggie organizer is customizable so you can all the aluminum foil, parchment paper and ziploc bags you own and store them easily within reach. 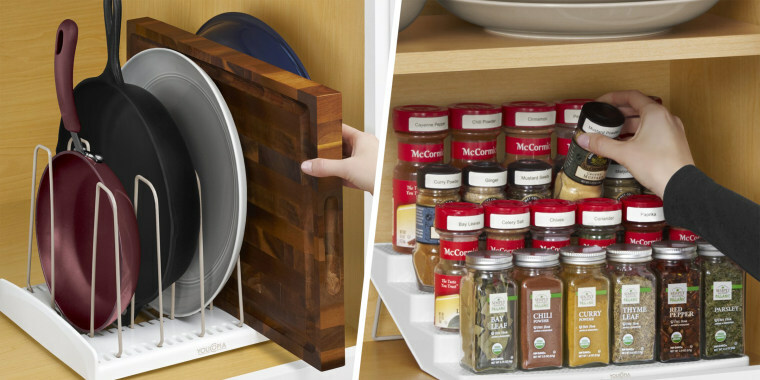 This lazy Susan helps you organize oils, spices, vinegars and more so you can reach everything. There's even a backstop that prevents items from falling off. They have a larger, 16-inch version that's $19. Finally! You can organize all those Nespresso pods that keep rolling around your drawer. 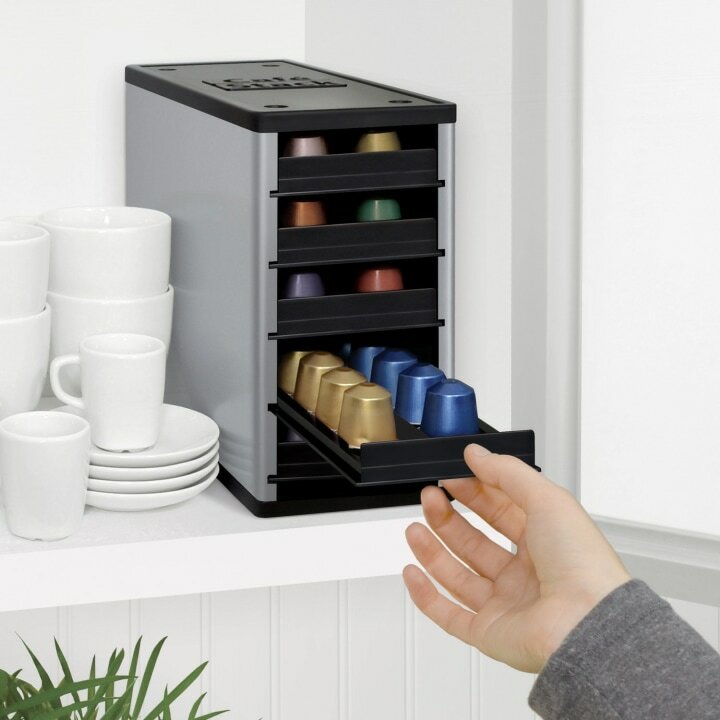 This device allows you to seamlessly store those pods and still see which colors you have left. For more home decor, check out our guide to the best places to buy cheap home decor today!